Tonight was our educational awards night and it was a pleasure to welcome our students and their families. Hayley and her team have once again done a fantastic job interviewing the applicants, making the selection and organising the night. 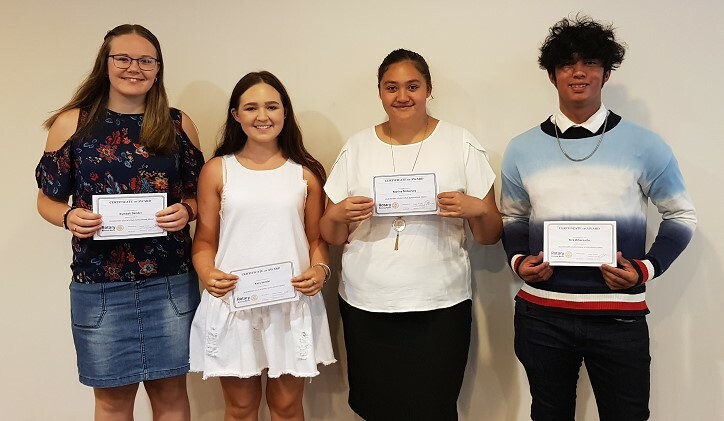 This will be the 15th year of these awards and it was our pleasure to assist Kira Whareaitu, Kymbali Dender, Kacy Sander and Marina McGarvey in their tertiary education journey.